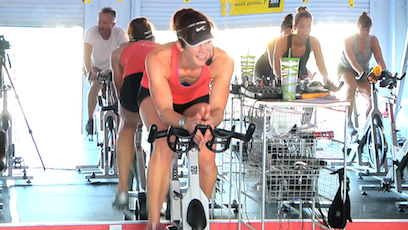 Learn how to quickly and easily set up your Indoor Cycling/Spinning bike properly! That’s great! 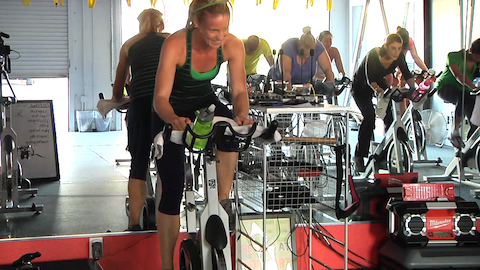 How do I find the beginner spin class that you were talking about? Thanks! Had never been taught how to be on bike correctly. Was great to know. I was able to see what I have been doing wrong with the bike set up and spinning all his years. 36 minutes of killer cardio right here, right now. Mainly quick and fast flat road with fun breakaways. Don’t you love you some sprints! And of course there are a couple of hills are in there too, so don’t be scared to climb! Embrace it. In the end… It’s a true sweat-feast! Get ready to work HARD and feel the burn! This StraightUpSPIN® will require your all… and then you’ll find more. With two back to back monster hills and a calorie torching high intensity drill time flies by as you build beautiful lean muscle and torch fat. Mount up and let’s get after it!